Hopefully you’ve been keeping up with Black Milk Clothing to prepare for the start of their Star Wars collection – If you don’t know Black Milk…where have you been?! But even if that name is new to you for some reason, rest assured, you’ve seen their work – seen or heard people talk about those amazing Artoo and Threepio swimsuits? Yeah, that’s them. Well, at the time they made those swimsuits, they were unlicensed. Not too uncommon an occurrence, but surprise surprise, they made good and eventually picked up a license with Lucasfilm to bring us many more Star Wars spandexy goodness! The launch of the collection begins Tuesday, October 2nd at 2pm – AUSTRALIAN TIME. But, for those of us not in Australia, then the collection actually releases Monday, October 1st, at 9pm for those on the West Coast, midnight for those on the East Coast. Again, for those of us in the States, the collection launches MONDAY (Monday, Monday, Monday). So yes, for those of you that have been longing for that Artoo or Threepio swim, your waiting will be rewarded and you can finally get yours hands on them! I, for one, have eyes only for the Artoo dress. Don’t fret about missing this launch though, or any of the later releases. 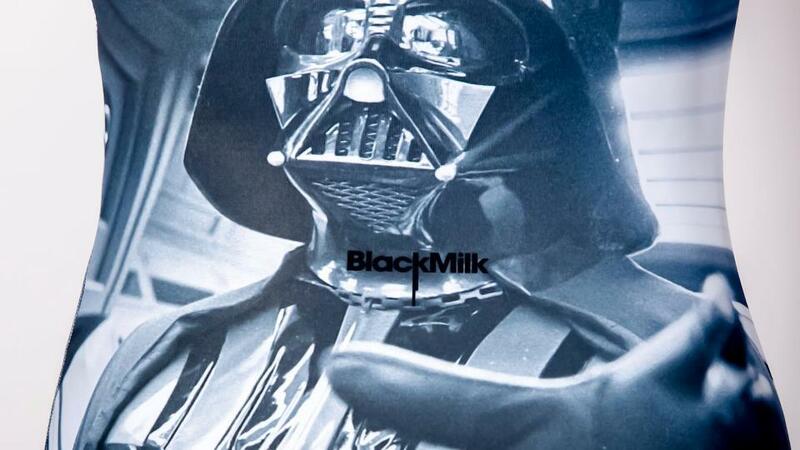 Because Black Milk is licensed with Lucasfilm now, these pieces are here to stay. So if they sell out, don’t panic, they will sew more. There’s a lot of awesome ahead in the world of Star Wars clothing, so you better start saving those pennies. We’ve got more swims and dresses, and of course leggings, yet to be seen. 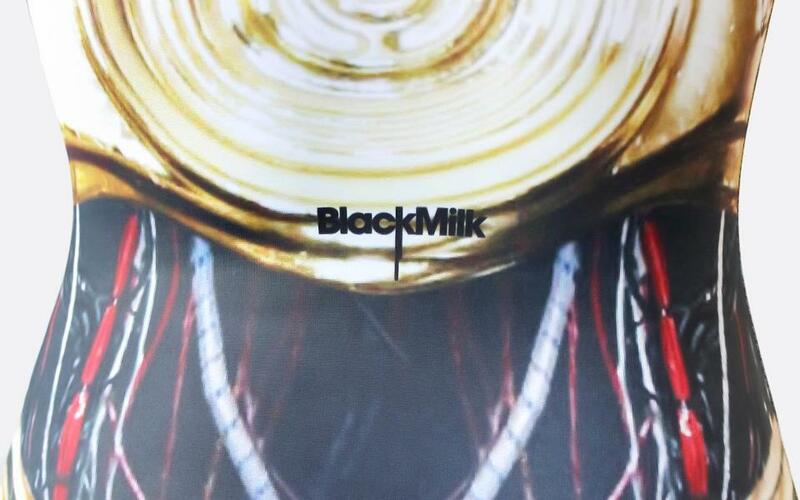 If you’re really eager to see some of what’s yet to come, be sure to check out the weekly Friday podcasts on Black Milk’s Facebook Page. Like this week’s podcast where we saw a lot of Star Wars walk past the camera!